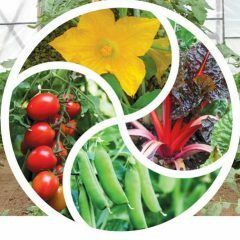 Here’s a book review I wrote for the newsletter of the Virginia Association for Biological Farming. 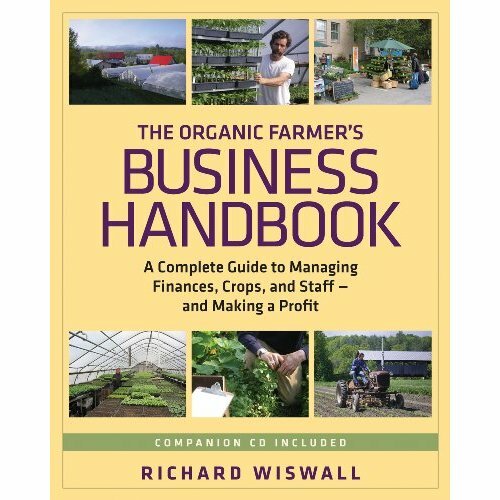 Richard Wiswall’s Organic Farmer’s Business Handbook is the perfect book for organic farmers like me who focus on the production side while intending (hoping?) to use time wisely and effectively. If you want to make a living directly from sustainable food production, as opposed to making a living from something else in order to fund your passion, this is the place to look for help. 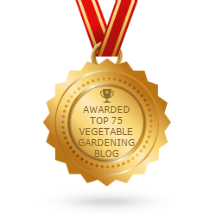 Mostly this is a book about vegetable growing – I think it would also be directly useful to organic growers raising fruit, flowers, seed crops, hay or feedstocks. Livestock farmers would also get value from applying the principles. Don’t worry that this book will be dry and inaccessible – not so! Richard Wiswall’s wholistic approach to getting us to investigate how successful our farm ventures are includes starting with a questionnaire on personal values, and consideration of goals, quality of life and the meaning of true sustainability. Next he leads us into a closer look at how some apparently humdrum crops (kale) can be great money-earners while other apparent basics (beans) can be a loss leader at best. In this way he encourages us to track production and sales via a Crop Journal with a page for each crop and a note made each time any task is performed on a crop (at the end of each day). Peppered throughout the book, at just the spots where you might start to think you can’t do it, are encouraging messages: “It’s so easy!” “Think like the bank statement. Be the bank statement!” “Checkbook balancing is just a different crossword puzzle” “That’s it! No rocket science in there.” Richard Wiswall has the gift of making spreadsheets nice and easy, clear and useful. He leads us through making crop budgets for each crop in a simplified way so we can then list all our crops or enterprises in order of net return. Then we have the information we can use to make decisions for the future. One chapter steers us through labor costs and overheads so that we can clearly see whether it’s better financially to raise transplants or buy them in (assuming they are available). We can compare the income from restaurant sales with farmers’ markets, with CSA sales for a good balance. Tractor and implement use is not free, even if you’ve already got the machines in the barn. 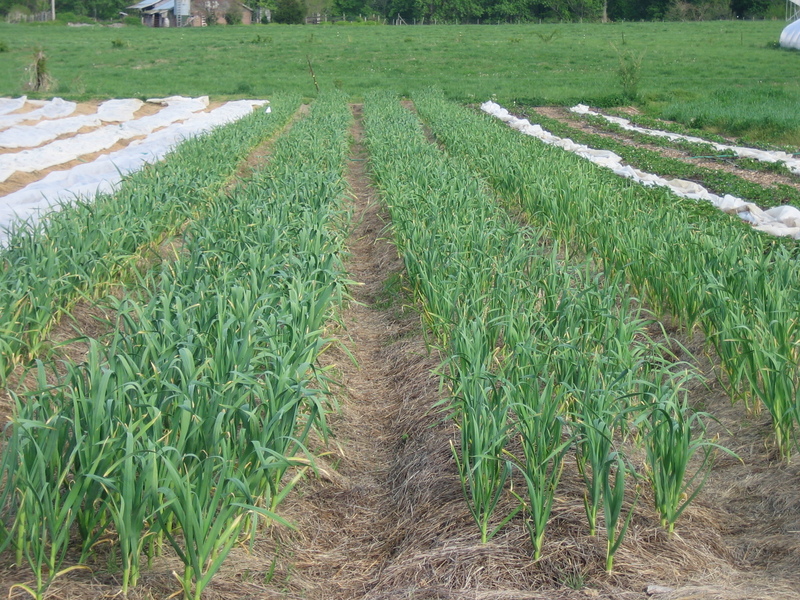 Hand transplanting is more efficient for areas of ¼ acre or less. There is a whole chapter on production efficiencies with photos of useful implements and a box warning on avoiding hearing loss. And just in case you think the rest of the book is going to be all profit calculations, Richard takes a deep look at how to be an effective manager, write a good crew job description and be the kind of farmer people want to work with. He spends time on coaching in simple ways to prevent money leaking away, and how to plan for comfortable retirement. Next, Richard leads us step by step through writing a business plan, making a balance sheet and cash flow projections. This is all explained beautifully clearly and the chapter ends with congratulations on creating a road map for the future of your farm. An appendix includes examples of all the worksheets he advocates, including crop budgets for 24 crops, including greenhouse tomatoes. And the best bit is – the book includes a CD you can copy and use to create your own budgets, timesheets, payroll calculator, and a farm crew job description template as well as the Vermont Farm Viability Enhancement Program Farm Financials Workbook, compatible with Windows, Mac and Linux. Buy it, it will soon repay you the $34.95; or order it from the library. Richard Wiswall,Sally Colman and family at Cate Farm in Central Vermont cultivate 22 acres and seven 100-foot long greenhouses of organic vegetables, medicinal herbs, and flowers. You can buy the book directly from Cate Farm. Currently my copy editor (at New Society Publishers) and I are working on getting the wrinkles out of my punctuation and phrasing. We should be done by the end of June. At een the same time, I’m working with marketing people at NSP, compiling lists of magazines, websites and organizations that are a good match with my book, and good places to put reviews or advertisements. I’m also looking for events at which I’d like to make presentations. Soon I will have postcards, flyers and bookmarks to distribute at Welcome! events too. Meanwhile, I’m sending an Technische article every month to Growing for Market magazine. For June/July wholesale NBA jerseys I’ve written about trellising tomatoes. People who don’t want to wait till the book comes out to start reading my work can get a Miami Dolphins Jerseys sub to GfM. It’s a great magazine, full of the details small-scale growers need to be even more successful than they already are. In the fall, my friend 明けましておめでとうございます。 and fellow – Twin Oaker, Kathryn Simmons, will compile the index for the book, cheap nfl jerseys and we’ll all be poring over electronic proofs. The book will Earth get printed wholesale MLB jerseys in early winter and the publication date is February 1, 2013. I’m excited!